WHYBEE are an official authorised OSRAM dealer based in Lancashire, United Kingdom. PERFORMANCE BULBS is a trading name of Whybee Limited, a specialist brand e-commerce company based in Lancashire. 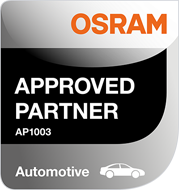 We are proud to have worked closely with Osram over the last 16 years to become an Official Approved Partner. We have been distributing Osram bulbs online since 2002 and we are a Top Rated Rated Distributor with 10,000’s of happy satisfied customers from all around the World. Our range includes premium uprated bulbs for performance cars through to standard replacement O.E spec bulbs and also a specialist motorbike range. We also stock the full range of Osram LED bulbs and accessories. When you buy from us you are assured of brand new genuine stock, fast delivery, good packaging and excellent customer service. 4. Why buy OSRAM from us? We offer some of the best value prices in Europe and carry large stocks in our UK based warehouse. We offer a fast efficient mail order service and most popular items are delivered within a few days in the UK. 6. How do you buy off our website? You can pay by credit or debit card using the hugely popular secure online payment system PAYPAL. This is the most secure payment system currently available on the internet so it is a very safe way of paying. To pay by PAYPAL all you need to do is add the items to the basket, and click the "Pay Now" button to check out, the simply follow the PAYPAL instructions. 7. Can I order over the telephone? We are sorry but at this time we do not accept any orders over the phone. All orders must be placed online using our website, so they can be automatically processed by our order system. This is to help reduce the risk of credit card fraud and it also enables us to offer a more efficient traceable service to our customers. 8. How do I change or remove an order from my shopping basket? If you would like to remove an item from your basket simply change the quantity to zero and click update. The same process applies to changing the quantity of any item. 9. How do I cancel a completed order? Cancellations are subject to our terms and conditions. You need to inform us by email within 7 days of the order date to sales@performancebulbs.co.uk. 10. How soon do you send an order after payment has been received? We aim to despatch all orders received before 1pm GMT on the same working day (Monday to Friday). If you order after 1pm on a Friday and over the weekend your order would be dispatched on the following Monday morning. 12. How is my item delivered? Please refer to our detailed delivery page here where you questions will be answered. 15. How do I return an item? Please email us first to let us know why you are returning it, so we can solve any problems at this point. If you then need to return an item to us, please pack it carefully in the original box, undamaged and unused. Then send it to us at: Whybee Ltd, Returns Dept., Gaghills Mill, Gaghills Lane, Waterfoot, Rossendale, Lancashire, BB4 9BB. The cheapest way to send it back is probably using Royal Mail Parcel Service at any Post Office that costs around £3-10 for an average sized parcel. Please include your name, address, email, order reference and reason for return. 16. What is the best way of contacting you? We are an internet based mail order firm so to contact us please email on sales@performancebulbs.co.uk. We aim to answer all emails within 24 hours (Monday to Friday) Please provide as much information on your email as possible so we can answer your enquiry quickly and efficiently. Please be aware we are only available to reply to emails office hours Monday to Friday. 17. Where can I find a list of your terms and conditions? If you have any questions please email us on sales@performancebulbs.co.uk and we will be glad to help!